Review by AllTheBestFights.com: 2015-03-13, nice and tough exchanges between Shawn Porter and Erick Bone: it gets three stars. 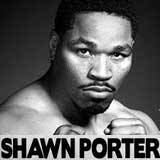 Shawn Porter entered this fight with a pro boxing record of 24-1-1 (15 knockouts) and he is ranked as the No.8 welterweight in the world (currently the #1 in this division is Floyd Mayweather Jr); he won the Ibf Ww title at the end of 2013 beating Devon Alexander (=Alexander vs Porter) and he successfully defended it against Paul Malignaggi in 2014 (=Porter vs Malignaggi) but then ‘Showtime’ Porter suffered his first defeat losing the belt in his last bout, against Kell Brook (via majority decision Porter vs Brook). His opponent, Erick Bone (who replaces Roberto Garcia since he failed to show for the weigh-in), has a record of 16-1-0 (8 knockouts) and he entered as the No.24 super lightweight; his only loss (via split decision) occurred in 2013 when he faced Alberto Mosquera, since then he has won four consecutive bouts beating Mahonri Montes (=Bone vs Montes) and Peter Oluoch in his last two fights. Porter vs Bone is on the undercard of Andre Berto vs Josesito Lopez. Watch the video and rate this fight!